You are saving money. By driving a fuel efficient car you are saving funds on buying fossil fuels for your car. Just because gas is two to three dollars a gallon now doesn't mean that prices won't surge. So just in case a hybrid is a good option due to the staggering fifty to sixty miles per gallon you can get while driving! 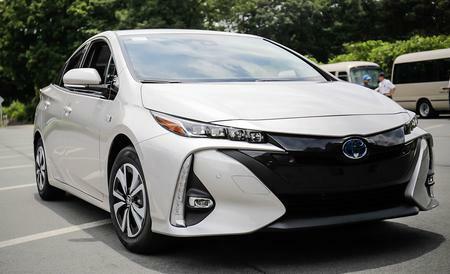 Hybrids have the ability to go six hundred mile before needing a fill-up. According to parents.com you could save about seven hundred dollars on gas a year. You are helping the environment.Not only do hybrids typically get better mileage as a gas-electric vehicle, you are doing your part in protecting the environment. By driving a hybrid you are reducing smog emissions that form from the tailpipe by ninety percent. "Hybrid cars emit lower levels of greenhouse gases than conventional cars according to the DOE." In doing so you can say bye-bye to the grey puffy cloud of smoke that typically lingers from non-fuel efficient vehicles. You are getting your monies worth.By buying a hybrid car it is typically more inexpensive than a normal car, especially in the long run. Maintenance levels on hybrid cars are typically low. An example of this can be seen through a hybrids' regenerative braking system. The lower heat production of the brake means that the brake pads will last longer and save you the costs of changing out your brakes. So next time you decide to purchase a vehicle or you know someone that is, encourage them to help the environment and get an eco-friendly car.